Like all wood elves, Kerillian feels the pull of both light and dark. First as a Waywatcher, and now as a more experienced Waystalker, she has kept those aspects in balance. Indeed, Kerillian’s reason for journeying to Ubersreik was an attempt to help her reclaim her moral poise. Thus Kerillian is mercurial at best, at once resentful of the path she has been called upon to walk, and grateful for the chance to make amends. But who knows how little it may take to topple her from that path? Waywatchers guard the hidden paths of Athel Loren, holding vigil against intruders of all kinds. Those threats they can end with bow or blade, they do so gladly, for trespass is a crime that carries a heavy price in the domain of the wood elves. Thus are armies and raiding parties blunted – or even slaughtered wholesale – long before they reach Athel Loren’s heartlands. The defence of Ubersreik brought Kerillian a focus she had never before known. Disgusted by the Skaven machinations, and despairing of her companion’s clumsy efforts, she resolved to hone her Waywatcher’s skills to a Waystalker’s perfection, becoming a rightly-feared shadow in the night. Every shot is a kill, or accompanied by a muffled curse and a silent resolve do to better. For Kerillian, the paths of the Empire are now her hunting ground as much as those of Athel Loren ever were. 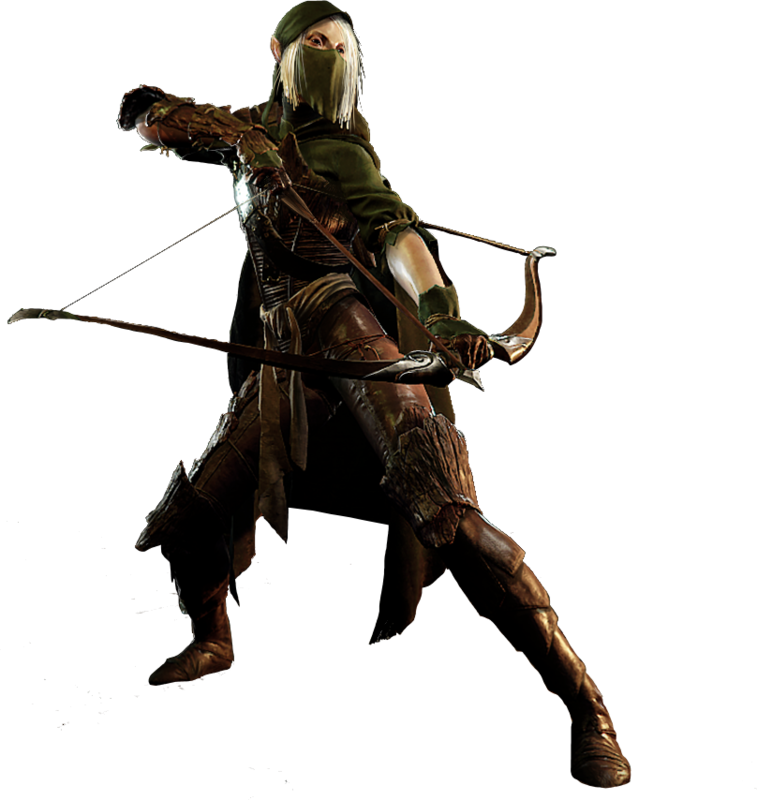 Kerillian the Waystalker reflects her ever-increasing skills with a bow and arrow. The Waystalker specialises in elven archery in all its forms, be it pinpoint precision work or sheer volume of arrows loosed against the enemy hordes. Shades are exiles, scions of a noble line ousted from the jagged towers of Clar Karond. They haunt the wilderness of the Blackspine Mountains like vengeful ghosts, preying on all who enter their domain. If the moment – or the price – is right, Shades will sometimes accompany dark elf armies to war. Some travel even further afield, bringing their murderous skill to distant shores in exchange for gold or vicarious thrill. In the aftermath of Ubersreik, Kerillian’s dreams were a jumbled cacophony, and one of the most lucid visions spoke of an ancestor who bore the exiled blood of Clar Karond. The dreams did not emphasise the future, but here and now. Through the mists of memory, a cruel voice spoke, urging her to reclaim the mantle of her forebear. Her count continues, but in glory, not in penance. 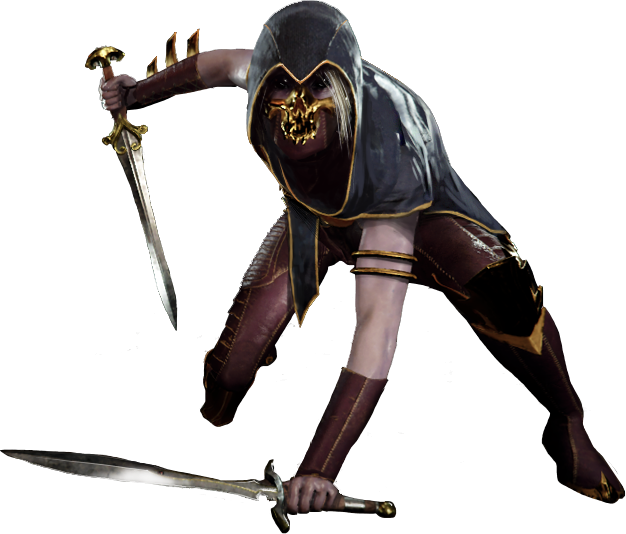 As a Shade, Kerillian treads an assassin’s path, striking unaware or distracted foes when they are most vulnerable to her wicked blades. She is fleet-footed death, come to claim the blood of the living. The elves were not always a divided race. Millennia ago, their empire spanned the globe, ruled over by a wise Phoenix King. Though such times are spent as if they had never been, remnants remain; traditions, tales… and even a few ruins. Only a few shrines to the mother-goddess Isha remain beyond the bounds of the three great elven kingdoms, and fewer still any longer have defenders. Kerillian has ever fought the darkness in her soul, trusting to Lileath to guide her through bleak times. However, in the wake of Ubersreik – slaughter on a scale she’d never before witnessed, and for which she felt a hidden pang of responsibility – she sought guidance of a haler power. Guided by a new voice, she came upon a long-abandoned shrine of Isha, founded in the days before the elves became divided, and gave herself over to the ways of a Handmaiden. As a Handmaiden, Kerillian favours melee combat, using a spear’s reach to deliver death to her foes before their own weapons bite flesh.